The FAA's official guide to basic flight information and ATC procedures. NOTE: This handbook supersedes FAA-H-8083-25, Pilot’s Handbook of Aeronautical Knowledge, dated 2003.The Pilot’s Handbook of Aeronautical Knowledge provides basic knowledge that is essential for pilots. This handbook introduces pilots to the broad spectrum of knowledge that will be needed as they progress in their pilot training. Except for the Code of Federal Regulations pertinent to civil aviation, most of the knowledge areas applicable to pilot certification are presented. This handbook is useful to beginning pilots, as well as those pursuing more advanced pilot certificates. allowable limit and the center of gravity (CG) is within the allowable range. The Aviation Instructor’s Handbook is designed for ground instructors, flight instructors, and aviation maintenance instructors. It is developed by the Flight Standards Service, Airman Testing Standards Branch in cooperation with aviation educators and industry. This handbook provides the foundation for beginning instructors to understand and apply the fundamentals of instructing. 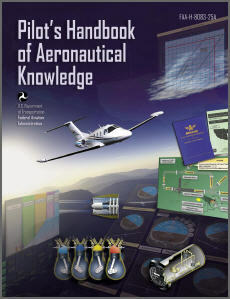 This handbook also provides aviation instructors with up-to-date information on learning and teaching, and how to relate this information to the task of conveying aeronautical knowledge and skills to students. Experienced aviation instructors also may find the new and updated information useful for improving their effectiveness in training activities. This is the old Instrument Flying Handbook, FAA-H-8083-15. Superceded by FAA-H-8083-15A. This Instrument Flying Handbook is designed for use by instrument flight instructors and pilots preparing for instrument rating tests. 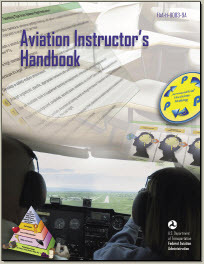 Instructors may find this handbook a valuable training aid as it includes basic reference material for knowledge testing and instrument flight training. Other Federal Aviation Administration (FAA) publications should be consulted for more detailed information on related topics. This handbook supercedes FAA-H-8261-1, Instrument Procedures Handbook, dated 2004. It is designed as a technical reference for professional pilots who operate under instrument flight rules (IFR) in the National Airspace System (NAS). It expands on information contained in the FAA-H-8083-15, Instrument Flying Handbook, and introduces advanced information for IFR operations. It also provides detailed coverage of instrument charts and procedures including IFR takeoff, departure, en route, arrival, approach, and landing. Safety information covering relevant subjects is also included. This Student Pilot Guide is intended to serve as a guide for prospective student pilots and for those already engaged in flight training. This guide presents in “how to” fashion, general procedures for obtaining FAA student pilot, sport pilot, recreational pilot, and private pilot certificates. AC 00-6A AVIATION WEATHER is published jointly by the FAA Flight Standards Service and the National Weather Service (NWS). The publication began in 1943 as CAA Bulletin No. 25, "Meteorology for Pilots," which at the time contained weatherknowledge considered essential for most pilots. The new authors have completely rewritten this edition streamlining it into a clear, concise, and· readable book and omitting all reference to specific weather services. Thus, the text will remain valid and adequate for many years. A companion manual, AVIATION WEATHER SERVICES, Advisory Circular 00-45, supplements AVIATION WEATHER.